For want of something different other from the traditional fare of Christmas season’s readings during the previous year did I venture forth with my first Agatha Christie, And Then Were None, offering a bewildering ride that indeed while away the humdrum of my week-long sabbatical. 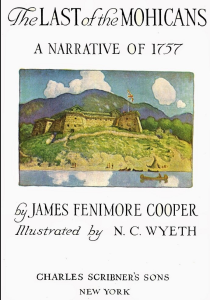 The book begins with ten people, complete strangers to one another, who are invited by means of a carefully worded letter by some distant acquaintance in the past, or through an unknown business undertaking, to an excursion to Indian Island — a location off the coast on the province of Devon that has been the object of newspaper gossip lately. Each has a strong purpose to comply with the strange request. Each has reasons of their own for desiring a place far away from home. On the island, the visitors were distressed by the absence of their host and only the servants to greet them upon their arrival. Queer goings on set afoot during the guests’ dinner when a mysterious recording reveals crime they have allegedly committed. It doesn’t take long for each of them to gather that this quiet sojourn is not what it seems as each of them are hunted down by a cunning murderer whose pattern for killing is inspired by an innocent nursery rhyme hanging over the fireplace. 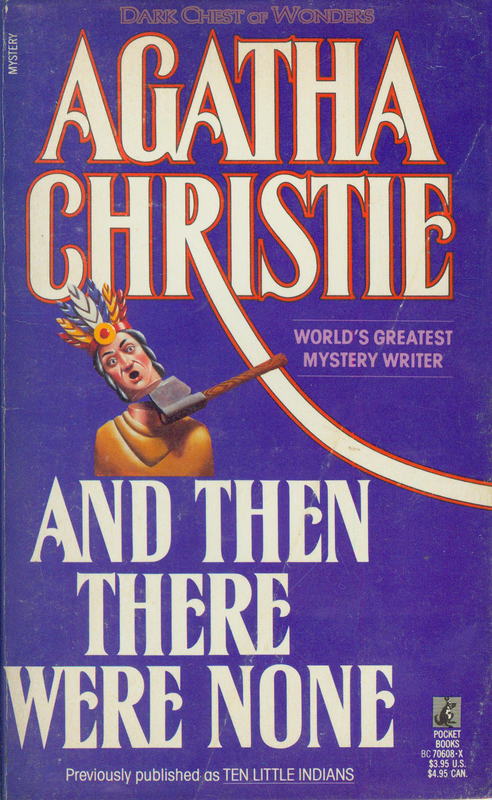 And Then There Were None proclaims why Agatha Christie is the Queen of Crime Fiction bar none. For one thing the novel displays her ingenuity for plotting, bringing to the table a new approach to one of genre’s hackneyed plot devices: the locked room mystery — or rather the locked island mystery as the novel portrays. As it follows a lot of characters on its initial chapters, it may leave the reader a bit confused and pressed hard to keep track of them individually (this is where the character list on the front of book comes in handy) as the narrative shifts from their respective point of view. Taxing though it may be, this in my opinion appropriately reflects the sense of chaos that ensues on the island. 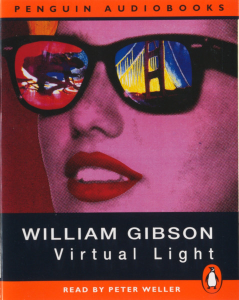 As the reader bears witness to increasing suspicions that each characters feel for one another, he too becomes part of the inquiry to hunt down the identity of the murderer, examining each guest through the lens of their minute actions and motivations. 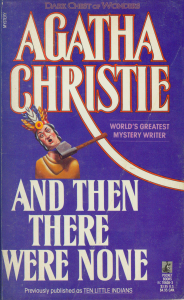 And this is where the fun the part of Christie’s novel begins: just when the reader has it down pat or by the better of his hunches ascertained who the murderer is, she disproves him wrong chapter after baffling chapter. This clever puzzle leaves and tantalizes the reader as each episode raises the level of suspense and dread down to the novel’s chilling outcome. While in all honesty the novel doesn’t have a compact plot — that it’s quite implausible that the planned murder is followed through down to the letter of the nursery rhyme and the victims were too obliging to the killer’s machinations, it appears somewhat all too convenient, all too neat for my taste — no one can argue, though, that the crime is one brilliant masterstroke! All the red herrings and tricks directed by Agatha Christie’s simple prose marked with the complexity of her deception makes it one of the crime novels no else but she can pull off. If you enjoy being fooled or in the search for one stimulating and enjoyable read, And Then There Were None is that wonderful diversion you may need. Rightly so, for I think there were none to equal it in feat.